Do you know anyone who doesn’t at least occasionally shop on Amazon? I actually shop on Amazon more than any other online store. Not only does it have incredible prices, but you can find just about anything you need. I consider myself somewhat of an Amazon expert. Lucky for you, I’m sharing some of my knowledge with you today so you can learn how to get free Amazon gift cards. Yes, you read that right: FREE gift cards for Amazon. There are a lot of ways to earn free Amazon gift cards, and many of them are through Amazon itself! So, no more getting caught in scammy websites just to score an Amazon gift card. 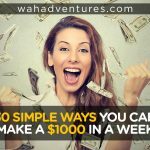 These legit ways are scam-free and will have you earning in no time. These gift card-earning ways all deal with trade-ins. You’ll trade in your used stuff in exchange for Amazon gift cards (some offer other rewards, too). This is probably one of the best and easiest ways to earn an Amazon gift card. I’ve used it frequently for things I no longer need and you can get a gift card instantly! First, search for the item you want to trade in. Amazon won’t let you trade just anything in, though. It has to be in new or gently used condition and an item that Amazon allows trade-ins for. Books, video games, and electronics are good places to start. Once you find the item you want to trade, look over on the right side of the screen. Amazon will tell you if that item is tradeable. Go through the steps, which will ask the condition of your item. Make sure you choose the condition that most closely meets your item. Amazon will give you a gift card in the amount it’s worth and you send your item to Amazon with free shipping. If your item doesn’t match the condition you chose, you’ll be responsible for paying it back, so be careful! Alternatively, you can choose to not get paid until Amazon inspects your item, just to be on the safe side. If it’s not sellable, your item will be returned to you. You can trade in other gift cards that you don’t want or need with Cardpool. So, if you have some gift cards that you don’t think you’ll ever use, this is a good way to get free Amazon gift cards instead! Once you submit your gift card and balance information, you’ll get an offer letting you know how much it’s worth. You’ll earn up to 92% of your balance, depending on the brand and how in demand it is. If you choose to get your payment via an Amazon gift card, Cardpool usually will issue it in electronic form in one business day. Coinstar machines are offered in several stores as a way for you to turn your loose change into cash. You don’t even have to sort or count them before you use the machine. The only downside is that the machine charges fees to do everything for you, which can cut into your earnings. But, if you choose a gift card instead, you won’t have any fees taken out! Coinstar has Amazon e-gift cards as an option. Gazelle lets you trade in electronics, like smartphones and computers, for cash or gift cards. It’s best to have gently used electronics that you’ve taken care of really well. You can even ship your items for free as long as they’re worth at least $1! Once Gazelle inspects your items, you can choose to receive it as PayPal cash or an Amazon gift card. Gazelle even has some kiosks where you can drop off phones, tablets, or MP3 players for trade-in! Cash back offers are super popular, letting you earn money back on purchases. Fortunately, Amazon is catching on to the popularity of these types of offers and offering some of their own! Plus, there are several other places that have cash back-type offers that let you earn money toward Amazon gift cards. Amazon has its own credit card which proves how popular it is! I have one and I’d be lost without it. This little piece of plastic earns me 5% back every time I make an Amazon purchase, which is several times per month for me! You earn your cash back in points, which equate to dollar earnings. Your card will be hooked up to your Amazon account and you can see how many points you accrued when you purchase. They work just like an Amazon e-gift card. You can choose to apply your earnings to a purchase whenever you want by clicking ‘Apply my points’, and you’ll see the money taken right off your total. Amazon always has awesome promotions throughout it’s website; you just have to be the lucky one to find them! But, if you browse the website pretty consistently and pay attention to Amazon e-mails, it’s not difficult. Usually, Amazon will advertise some of them right on the homepage. Amazon now even offers Amazon credits for Prime members who choose No-Rush shipping instead of free 2-day shipping. Since Amazon saves on shipping costs this way, it gives you back some of the money as a Prime Pantry or other Amazon credit. Amazon will also sometimes offer credits or gift cards when you purchase specific products. I’ve seen things like, ‘Purchase this product and receive a $10 credit toward your next purchase’ or ‘Purchase a gift card and receive a $10 gift card’. You can also visit RetailMeNot to check out current Amazon promo codes and deals. If you don’t have an Amazon credit card, that’s okay. Other credit cards offer rewards that can still earn you Amazon gift cards! Look for gift cards that offer points rewards with a large selection of prizes to choose from. This list of credit cards with excellent rewards is a good place to find cards to apply for. Alternatively, you can sign up for a credit card that offers cash back on Amazon purchases, like the Discover It card. This card offers 5% cash back when you buy from Amazon, just like the Amazon credit card. It doesn’t give you gift cards as rewards, but you can always use your accumulated earnings for more Amazon purchases! 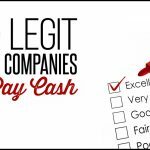 Ebates is a shopping portal where you can earn cash back toward prizes whenever you shop online. If you’re going to shop anywhere, check Ebates first. Ebates offers double rewards for certain stores, which rotates occasionally. You can turn your earnings in for an Amazon gift card! Fatwallet is sort of like other shopping portals, but it’s focused on special promotions and coupons for online retailers. Visit the site, browse the coupons and promotions, and make a purchase at the retailer. You earn cash back through shopping with Fatwallet, and you can see the amount you’ll earn when you click on offer. You can redeem your earnings on an Amazon gift card. TopCashBack is another great shopping portal, very similar to Ebates. Earn money as you shop through the website or its mobile app. You can also save extra money with its huge database of promo codes. If you send your earnings to an Amazon gift card instead of direct deposit or PayPal, you can earn an extra 3% on top of your earnings! 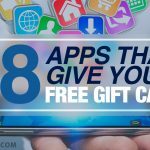 Amazon Gift Cards from Mobile Apps – Without Surveys! Mobile apps are quickly becoming the newest way to earn cash and rewards. There are tons of smartphone apps that pay you money or prizes! Many apps know how popular Amazon gift cards are so they offer them as rewards. The following apps all let you earn your rewards in Amazon gift cards. Amazon has its own shopping app! If you haven’t figured it out by now, Amazon is pretty awesome for being super convenient. Its app lets you shop away on your mobile device, scan your gift cards, read product reviews, and more. And, Amazon will even give you a $5 gift card just for signing into the app for the first time! Go download the Amazon app now. It’s available for both iOS and Android. App Trailers is an app for Android and iOS that pays you just to watch app trailers. The app makes money through the trailers, which are like paid advertisements from app developers. You get a certain number of points per trailer you watch. You can redeem your points for cash or prizes, including an Amazon gift card. GrabPoints gets you points for all different tasks on your mobile device. Watch videos, download apps, refer your friends, and more, all while racking up some points. 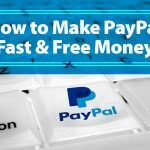 You can then redeem points for PayPal cash or gift cards. The app is currently only available on Google Play. Ibotta is, by far, one of my favorite apps. The app partners with several brands and stores to give you special cash back promotions on tons of products. Check Ibotta before you go to the store to see what you can earn. Check out the things you need to buy and if Ibotta has a promotion for it, add it to your deals. Once you’re done shopping and have bought the items, scan your receipt with the Ibotta app and your cash back will get credited to your account! Ibotta credits your earnings quickly. You can choose a number of options to transfer your earnings, including an Amazon gift card. JingIt has a mixture of ways for you to earn rewards on your mobile device. One of the ways it’s most known for is paying you to simply watch videos! You can also use JingIt similarly to Ibotta, earning cash back offers when you shop. Redeem your earnings for Amazon gift cards! Download the app on iTunes or Google Play. Juno Wallet rewards you for doing your normal business on your mobile device. Make calls, play games, watch videos, and refer your friends to rack up earnings. There are tons of gift cards you can redeem once you get enough points, and Amazon is one of them! This app is available for both iOS and Android. MobileXpression is a market research app. It runs on your smartphone, tracking the things you do (not to be creepy, but instead to get a feel for what a typical person does on a phone daily). You can earn cash or rewards just by keeping the app installed on your phone. Members are also eligible for weekly sweepstakes rewards, including Kindles, iPads, and more. Perk is an app that pays you to check into the places you normally go, like the store or gas station. You can also get paid to watch TV, play games, complete cash offers, and more. 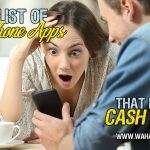 There are tons of ways to earn, and if you use the app daily, you can rack up cash quickly. Redeem your points for Amazon gift cards! When you visit a restaurant or store, visit the Punchcard app and earn points! Scan your receipts and spin a wheel for a chance to earn extra points. The more you check into a place, the better your chances for earning extra points from the business who recognizes you as a loyal customer! You can choose your rewards to transfer to a gift card, including Amazon. Punchcard is available for both iOS and Android. Receipt Hog pays you to scan your receipts. The data it collects is used for market research to find out what consumers are buying a lot of. Download it on iTunes or Google Play and you can trade your coins for an Amazon gift card. Shopkick is similar to Ibotta. The shopping app lets you earn cash back for purchases, but you can also earn rewards for taking photos of items, watching videos, using recipes, and more. You’ll earn “Kicks” which you can turn in for a variety of gift cards, including Amazon. The app is available for Android and iOS. Viggle is partner of Perk. This app is available on iTunes and Google Play and is probably one of the coolest and easiest ways to earn money through an app. Simply check into and watch your favorite TV shows, either live or through a streaming app. Let Viggle know what you’re watching and you get paid the longer you watch! Viggle makes money through advertisers. Every few minutes as you watch your show, an advertisement will pop up on the Viggle app. After the ad is over, you earn more points. Want to watch another show? Simply check into that one and continue to earn. You can trade in your earnings for Amazon gift cards. Yaarlo is another cash back shopping app that pays you in Amazon gift cards! Shop online or in-store and earn cash back toward rewards. You can use Yaarlo both on the website or app, which is available on Google Play and iTunes. 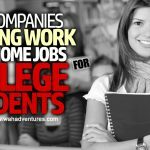 These opportunities are a great way to earn some passive income. Or, in this case, Amazon gift cards! The reason they’re considered passive is because you barely need to do anything to earn money or rewards. Sounds like a good deal, right? Amazon Associates is a blogger’s dream come true. But, it’s not just for bloggers. Anyone with a decent audience, like a social media superstar, can earn money with Amazon Associates. This program lets you earn commission on all sales you refer to Amazon. So, if you love a product on the website that fits well in a blog post, you can recommend it to your readers and use your affiliate link to get readers to find that item. If they purchase it, you receive commission. You can even earn some commission on other items they purchase! Amazon keeps track of all your earnings, which you can deposit to your bank account or transfer over to an Amazon gift card. Read this post for more information about the Amazon Associates program. To be eligible for Bing Rewards, you must have a Microsoft account. Once you sign up, you’ll need to use Bing search engine for anything you want to find out online. Microsoft also allows you to earn other points through Microsoft Rewards by downloading apps, taking quizzes, and more. Use your points to level up and earn faster. Then, redeem your points for prizes, including gift cards for Amazon. Google Screenwise Media Panel is for Google Chrome users who want to earn some gift cards. It’s not always open for new members, so check back occasionally to find out if membership opened up. If you’re a member of the panel, you’ll let the app run in the background of your browser. It will track your usage and performance to find out what internet users like to do. You can earn up to a $6 gift card just by signing up! Full participants can then earn up to another $12 per month in the form of a gift card. Survey, get-paid-to (GPT), and microtask sites aren’t always a favorite way to earn cash and prizes. But, if you do them consistently and get into a routine where you can maximize your time and earnings, they can be a great way to earn rewards for not a lot of work. Individuals and businesses use Amazon Mechanical Turk as a way to get quick, short tasks done by others without needing to hire a separate person on their staff to do it. For workers, it’s a super flexible and convenient way to earn some money. Log in when you feel like working, pick the tasks you want to work on, and go for it. You’ll mostly be doing quick data entry-type tasks, like entering address information or researching e-mail addresses or phone numbers. You get your earnings quickly once your tasks are approved, and Amazon lets you transfer them directly to an Amazon gift card. MyPoints is a popular GPT site with a high focus on surveys and cash back offers for shopping. You earn points on the site, which you can redeem for rewards. You can earn more with games, videos, and friend referrals! This is open to residents of the US and Canada only. Join MyPoints now or read the review. If you’re at least 18 and live in the US, Canada, Australia, or UK, you can join Survey Junkie and win rewards for taking surveys. You can earn extra points for referring friends! Once you reach 1,000 points, you can redeem them for your choice of e-gift card, including Amazon. Join Survey Junkie now or read the review. Swagbucks (review) is, by far, my favorite GPT website. Just about anything you enjoy doing online you can do on the site and get rewarded for it. Swagbucks ‘pays’ you in SBs, or Swagbucks, for taking surveys, playing games, watching videos, shopping, referring friends, and more. It’s one of the easiest places to earn rewards and has a ton of prizes to choose from. And, of course, Amazon gift cards are one of them! You must be at least 13 to join and live in the US, UK, Australia, Canada, or Ireland. Join SwagBucks now or read the review. Toluna (review) offers paid surveys and product testing! You may be one of the lucky ones to score free products in exchange for your opinions. You can also redeem your survey rewards for Amazon gift cards. You must be at least 14 years old, or as old as required by your location. Join Toluna now or read the review. MySurvey is one of the most well-known survey sites. It even has an app so you can conveniently take surveys on your mobile device! Turn in your earned points for an Amazon gift card. Open to US (16+) and Canada (14+) residents only. Join MySurvey now or read the review. Take surveys and provide your opinions on products and brands with Opinion Outpost. You can redeem your points for an Amazon gift card. Opinion Outpost is open worldwide to those at least 18 years old. Join Opinion Outpost now or read the review. YouGov has some interesting surveys, and I think they pay pretty well per survey. They usually have surveys available for me daily, so I rack up points quickly. There are several gift cards to choose from, Amazon included. Must live in the US (14+) or UK (16+). Join YouGov here or read the review. Prize Rebel is another survey site that offers Amazon gift cards as rewards for your time. You must be at least 18 years old, or at least 13 with parental permission. Recycle Bank is a site that pays you to recycle! It partners with tons of communities and rewards you when it confirms that you’ve done something great for the environment. You’ll earn points that you can redeem for a variety of prizes, including Amazon gift cards. You must be at least 18 to join. You can read our full review of Valued Opinions here! You can earn up to $5 for every survey you complete, depending on length. The website offers Amazon gift cards as one of its many prizes. You must be at least 16 years or older to join. One of the top rewards for taking surveys with Survey Spot is an Amazon gift card. I’ve used Harris Poll Online for years. I like its reward system with tons of prizes to choose from to redeem your points with, including Amazon gift cards. This is a survey site that lets you give your opinions for HIpoints. You can also enter sweepstakes and contests to win more points or prizes. Open worldwide to those at least 13 years old. 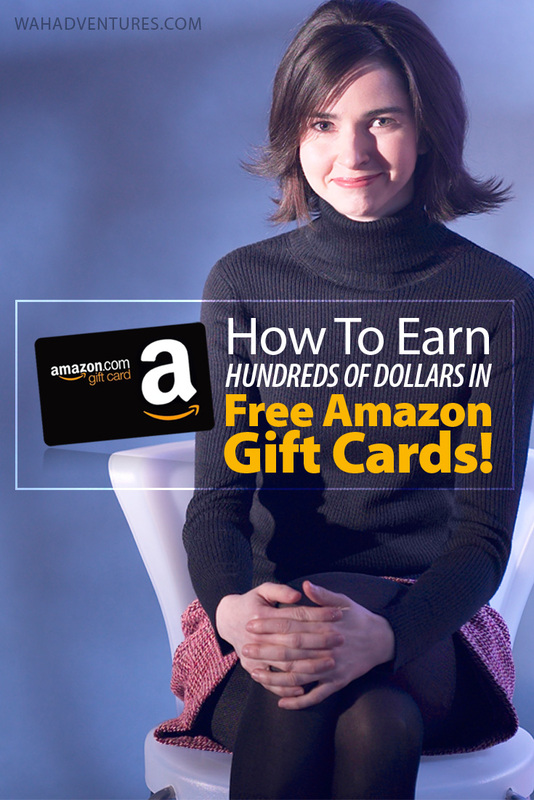 Learn More Ways for How to Get Free Amazon Gift Cards! There are a few more ways to earn Amazon gift cards that don’t quite fit into other categories. But, they’re awesome ways that I didn’t want to leave out! Blog giveaways are one of the best ways to earn free prizes. I’ve seen everything from $1,000 PayPal cash to huge toy bundles for kids given away for free. If you’re not super savvy with blogs and giveaways, that’s okay. It’s easy to learn! Keep them bookmarked so you can return to them quickly whenever you’re in the mood to enter new giveaways. Also, keep a notebook handy so you can keep track of the giveaways you entered. Most bloggers will e-mail you if you’ve won, but sometimes you have to return to the website to check the list of winners to claim your prize. Bloggers know that Amazon gift cards are a popular choice for a prize and they usually draw in huge crowds to their blogs. You’ll likely find several blogs giving away Amazon gift cards at one time. Don’t be shy; enter them! Gift Card Granny is all about gift cards all the time. You can find discounted gift cards or trade in your unused gift cards for different ones. You can even sign up for the rewards program, which helps you earn free gift cards of your choice! Just share gift card deals you find online, refer your friends to the program, sign up for the newsletter, and more to earn points toward your own free gift cards. Listia is a great place to turn in things you don’t want for stuff you do. Declutter your unwanted items by listing them on Listia. When you sign up, you get 1,000 credits for free to list and find items. When others purchase your items, you get more credits. You can use your credits to purchase other items on the site or exchange them for cash or gift cards. Listia is also available as an app for iTunes and Google Play. Twitter parties are fun ways to connect with some of your favorite brands and celebs. But, they’re also great for earning some prizes! Throughout a Twitter part, the host will give away a few prizes to lucky participants. But, you’ll have to stay active through the party to be eligible to claim a prize. An Amazon gift card is usually a good prize to entice people to participate in the Twitter party. Most hosts will outline the prizes to be given away before you join so you can make sure it’s something you’re interested in. It’s a great way to have a chance at winning some free Amazon gift cards, and a typical party only lasts about an hour! Do you know of any more ways to earn free Amazon gift cards? Let us know in a comment below!